Republic of Ireland Act was signed by the President of Ireland. It became law on 21 December 1948 and was brought into force on 18 April 1949, the 33rd anniversary of the Easter Rising. 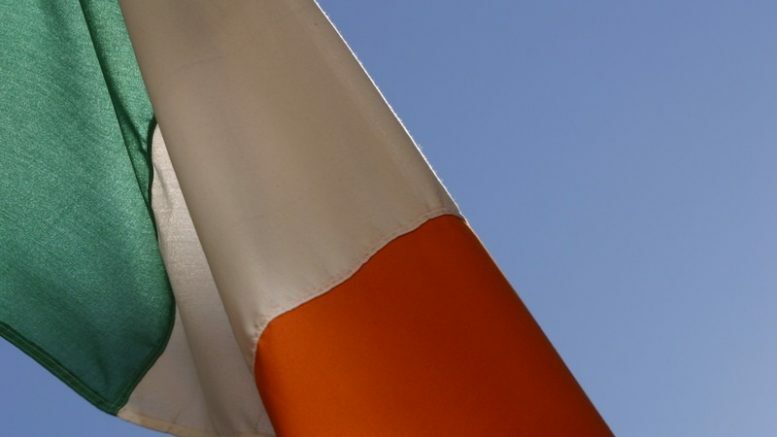 Since Eamon De Valera had introduced his constitution (Bunreacht na hÉireann) in 1937, the Irish Free State, or Éire as it was renamed, was virtually an independent republic. However de Valera dithered on proclaiming the 26 counties the Republic. De Valera ‘s hesitation was a sop to those who recognised the Republic as consisting of all 32 counties. He also did not wish to be the one whom history would indicate as having accepted partition of Ireland as permanent. As things stood, Éire claimed that the national territory covered the whole of Ireland but recognised the de facto state of Northern Ireland created under the partition of Ireland. It was De Valera’s ardent desire that reunification could be achieved peacefully. In the 1948 general election the largest political party, Fianna Fáil, lost power to a coalition of parties and independents who were all in agreement that Fianna Fáil should be put out of government. John A. Costello, a Fine Gael T.D. was appointed Taoiseach and it was Costello that same year, was to introduce to the Oireachtas the Republic of Ireland Bill. The Bill, which was passed by both the Oireachtas and the Seanad, put an end to External Relations Act (1936) which recognised the British monarch to be king of Ireland, whilst the Taoiseach and the President of Ireland were merely local notables. The Republic of Ireland Act did not change the name of the state of Éire (Ireland in English). However, it did change the description of the state and it invested the President of Ireland with executive power (on the authority and advice of the Government) or any executive function of the State or in connection with its external relations. In effect Ireland was a free and independent nation. The Republic of Ireland Act became law on 21st December 1948 and came into force on 18th April 1949. The British reacted to the Act by introducing the Ireland Act 1949 recognising the Irish State leaving the Commonwealth. Irish citizens were given a similar status as those of Commonwealth countries as part of under British nationality law. The Act also emphasised that Northern Ireland would never leave the United Kingdom except by consent and assuring that Northern Ireland’s social securities and schemes would be kept on a par with Britain’s. However it did also retain a special citizenship and trade preference with the new Republic.